At Johns Hopkins All Children's Hospital located in St. Petersburg, FL, we offer first-class pediatric care, along with the best lifestyle anyone could imagine. In the heart of Tampa Bay our main campus and state-of-the-art facility is located in downtown St. Petersburg, Florida and just minutes from restaurants, beautiful beaches, sports arenas and a multitude of family activities. This position administers and directs the All Children’s Health System Inc. Department ofRisk and Insurance. Establishes policy and direction for All Children's Health System, Inc and each of its subsidiary entities, and acts as the healthcare risk manager for Johns Hopkins All Children's Hospital, Inc. 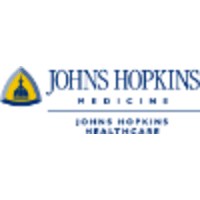 Supports and promotes the philosophy, mission, goals and objectives of Johns Hopkins All Children's Health System, Inc and its affiliated corporations as a member of the administrative team; administers and directs the programs and services of the Department of Risk & Insurance; establishes the mechanism and ensures execution of Enterprise-wide Risk Management (ERM) initiatives. Functions as the Designated Health Care Risk Manager for JHACH and for All Children's Health System, Inc., and its affiliated corporations; chairs various committees and work groups throughout theorganization to identify solutions and improve processes; activiely supports the following committees - Risk Management, Claims, AMI, Patient Safety and Quality, Board of Quality, Ethics, and Falls. Under the direction of counsel, performs adverse event investigation, including root cause analysis, disclosures, and reports as required by state and federal law, including AHCA and FDA Medical Device Reporting. Responsible for incident report processes and data trend analysis; works in conjunction with Regulatory and Quality Departments, validates data prior to utilizing for the dashboard or throughout theorganization and with the Armstrong Institiute and JHHS. Mainatins confidentiality of sensitive information, identifies protential privacy breaches, reports and works in conjunction with the Privacy Officer to improve processes; follows health system and departmental policies and procedures related to release of information and security of documents. Demonstrates service excellence and helps ensure a safe environment for patient care through attendance at, family/patient care meetings to assist in the resolution of identified concerns; helps to identify best practice for de-escalating interactions or events. Responsible for the coordination of activities and ensures continual compliance with regulatory standards (i.e. TJC, CMS, AHCA, etc.). __X__ Ability to move freely (standing, stooping, walking, bending, pushing and pulling) and lift up to a maximum of twenty-five (25) pounds without assistance. __X__ Category 2: Job classification is not exposed to blood borne pathogens (blood or bodily fluids) while performing job duties. Daily movement throughout any and all areas of the hospital campus including travel to its affiliates and satellites.